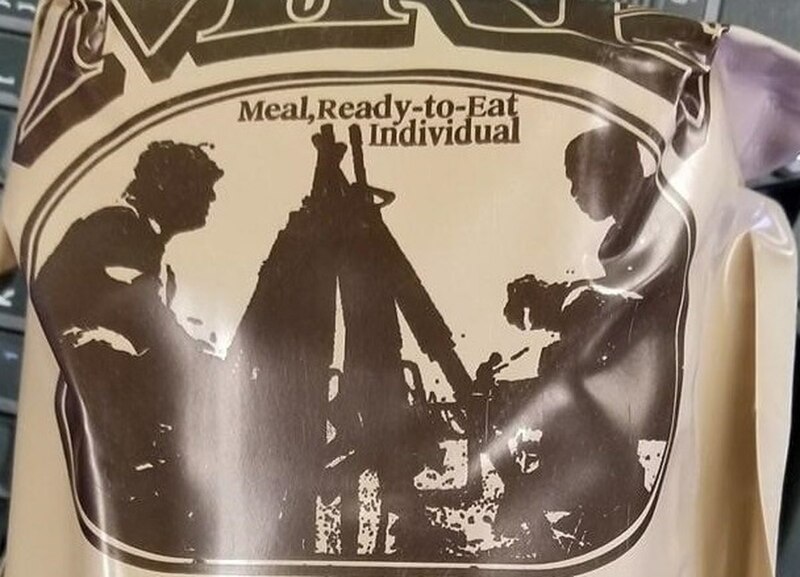 Donald Trump and Kanye West are depicted on the bag design of late model MRE. This writer, like most nowadays, supports his conclusions without research or facts. If i had facebook or twitter, i'd give him an ear-full. Now that you say that..it does look like Trump. The guy on the left has always looked odd to me, with that hair(?) on him. Kinda looks like Terence Knox in Tour of Duty.